In Mik’s Words: It has been quite some time since I have written my last post because the monster that is dysautonomia decided to create havoc again by offering up nonstop flaring of debilitating symptoms at the beginning of the year. I have become used to change the ups and downs, so it did not surprise me when I was thrown into yet another storm. It’s in times like these when everything seems to be crumbling and pulling me down that I like to put up a fight and show that I am strong….and that the enemy can’t sway me. 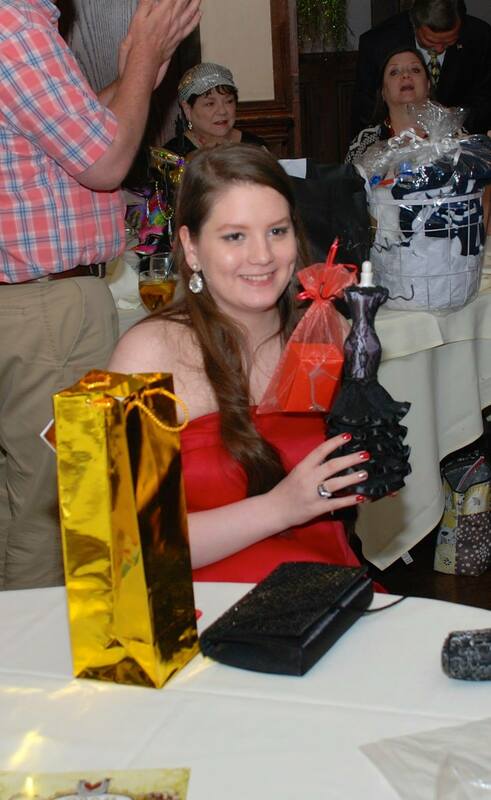 It was during one of my hospital stays when I came up with the idea to have a prom through my charity, Mik’s Hidden Hearts Alliance, for fellow chronically ill teens who are unable to attend their school’s prom. 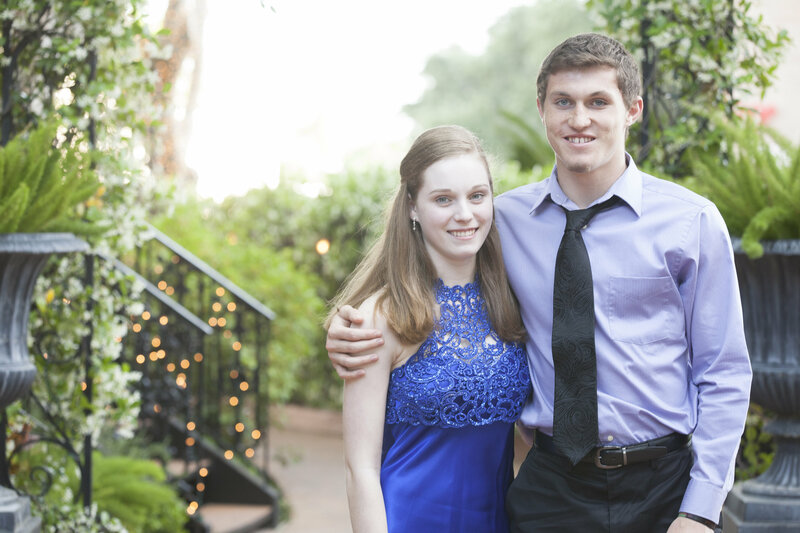 Being homebound with a debilitating illness, on the surface, can appear to take away so many special experiences such as prom. 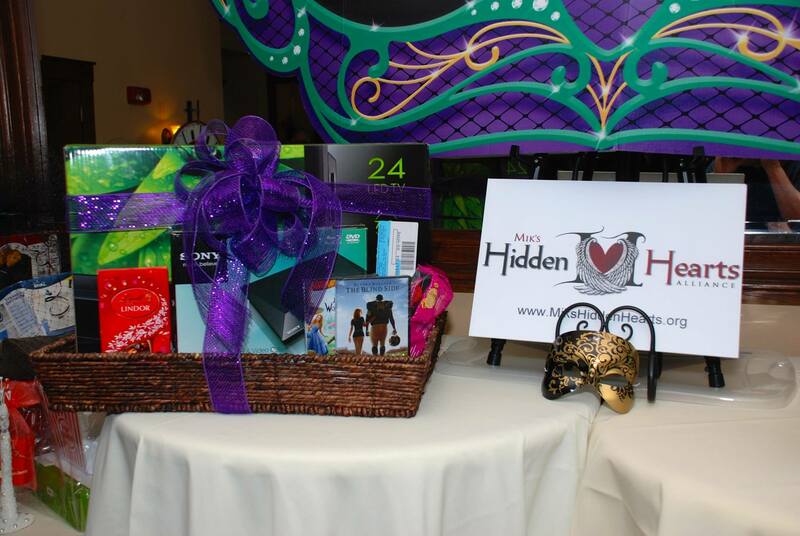 It made me think of my fellow “hidden” teens and it bothered me to think they would experience sadness when they saw pictures on social media of their friends who were able to attend and they would miss out on a night full of fun, friends, and great memories….. And that just was not acceptable for me. 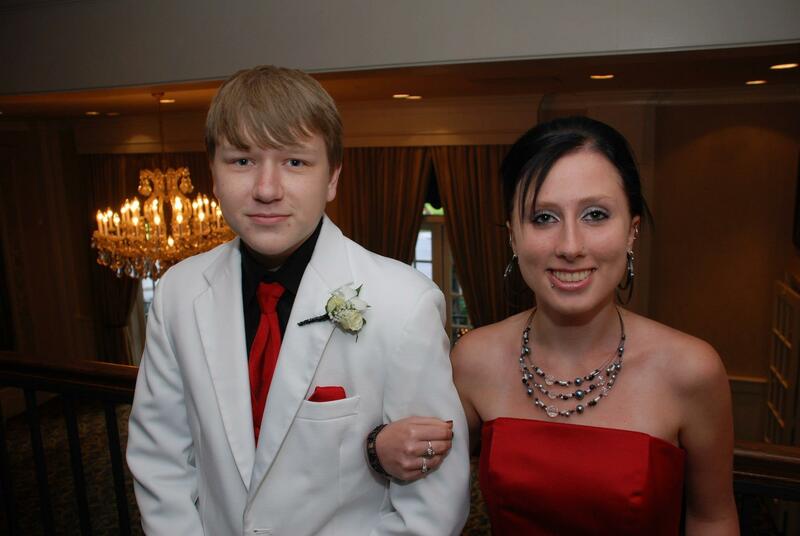 The Anti Prom Vision: Over the next few weeks, my vision of the “Anti Prom” for chronically ill teens began to develop. 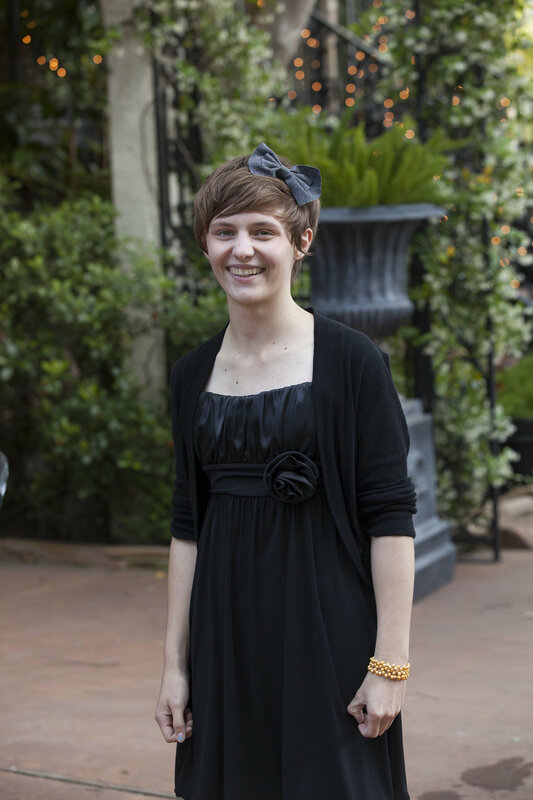 I decided to name it “Anti Prom” because it would be the opposite of a traditional prom and needed to be unique and suit chronically ill teens who may not have the physical endurance to dance or stand. 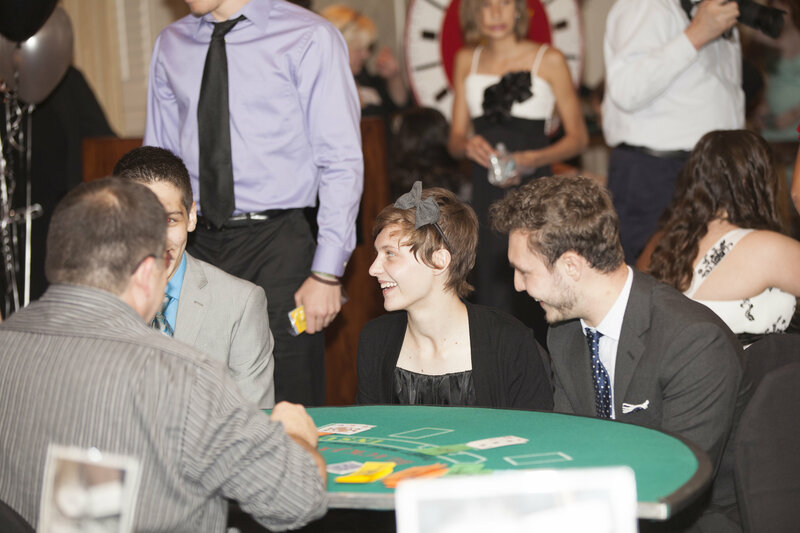 After discussing my idea with my mom, who fully loved and supported the idea and then discussed the idea with some of our awesome group of dysautonomia families, preparations for the Anti- Prom took off. Not only did they take my vision and run with it, they made it even better than I imagined. This event would have never happened without each and everyone of their help, input and ideas! I will forever be thankful!! 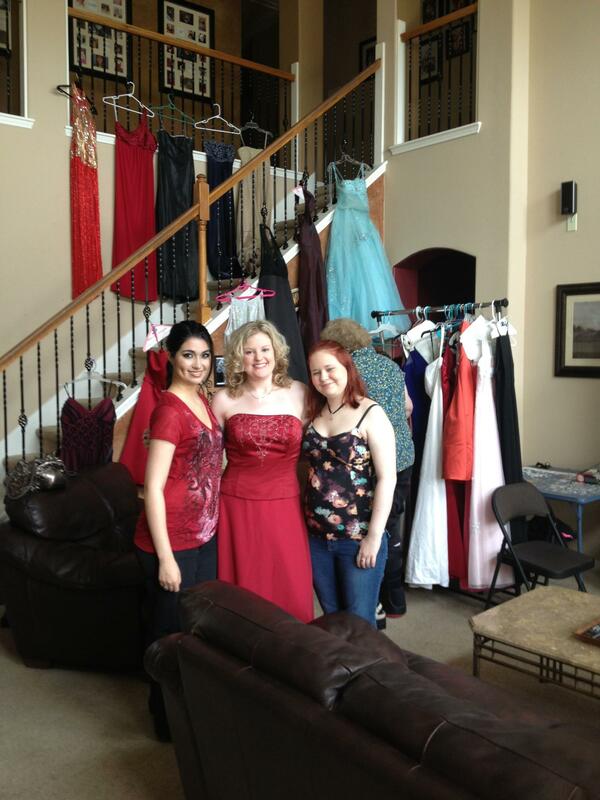 Local ministry, Pruning Hooks Ministry, generously donated over 80 prom dresses for our guests to “shop” from. 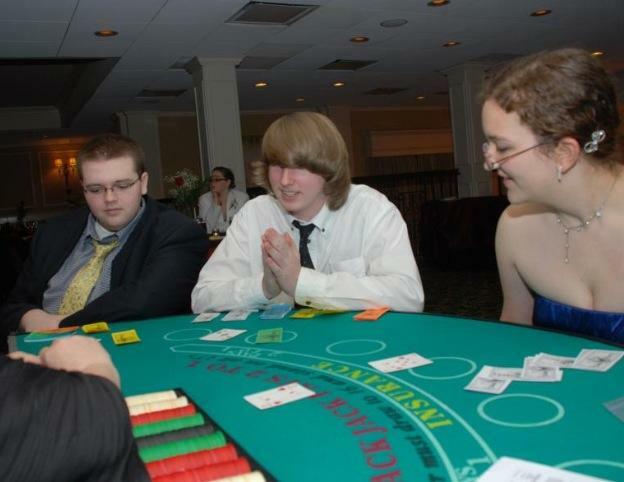 Our Anti Prom committee decided to have a casino night for fun sit down entertainment. 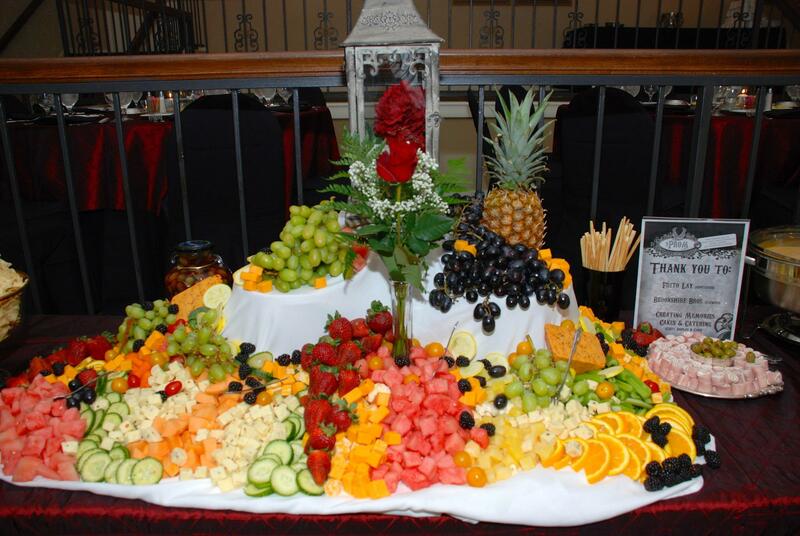 The much anticipated night was held on May 3, 2013 and was held at the beautiful Courtyard on St. James Place. Their service, staff and dinner was impeccable! Our guests enjoyed appetizers (courtesy of Frito Lay and a gorgeous fruit display by Creating Memories Cakes & Catering), sit down dinner, scrumptious cake (Creating Memories Cakes & Catering), deejay services by Johnny Bravo, fun casino games (courtesy of Blackjack Casino Rentals) and professional photography by Tiffany Daniel, Carl Miller and Brett Perroux. 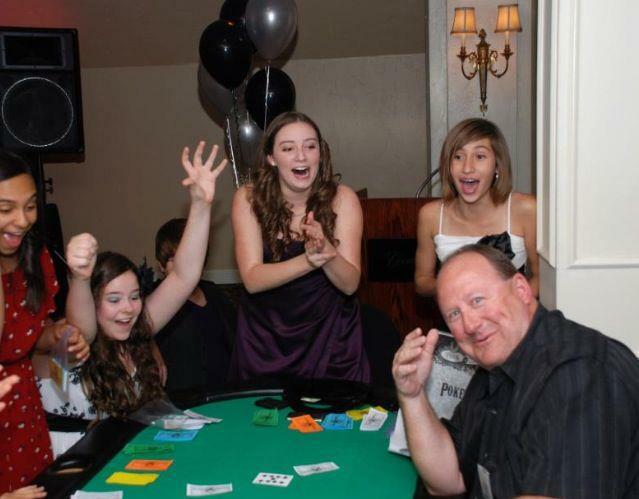 Table erupted in cheers when players beat the dealer! 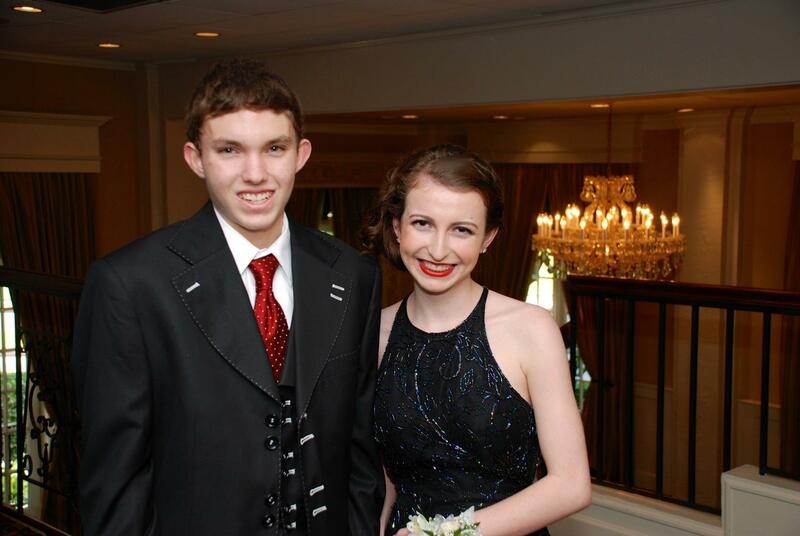 I was excited when the night of the Anti-Prom finally came around. I was incredibly happy to see our teen guests interacting and having a great time – the smiles on everyones’ faces were priceless. The experience was kind of surreal, like a dream. For most of the night, it was difficult to tell who was having more fun: us teens or our adult volunteers who led the games. Justin, Michael and Danni pondering their next move! I was so overjoyed that a simple vision of bringing light to the hidden – having this Anti Prom – was being fulfilled that night. Due to my own struggle with this illness and the isolation and hardships it can sometimes bring, it is my personal mission to try to help other chronically ill teens not to feel hidden or miss out on some fun teen experiences. No one should have to feel invisible and lonely; teens with dysautonomia or other illnesses should know that they matter, that there are people who care, and that they are not alone. I am very thankful for all of our volunteers (so many to list!) who made this night happen. 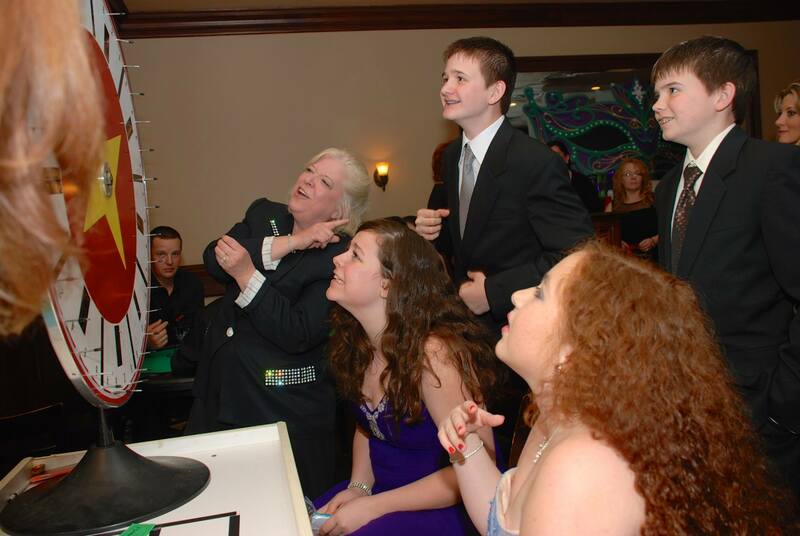 I am not completely sure they, including our donors, realize the full extent of what they gifted us teens that night. 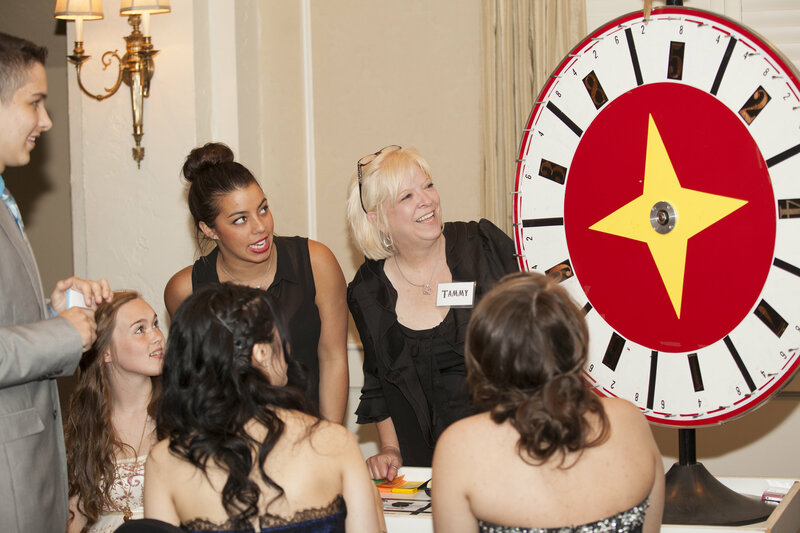 For them, it may have felt they were helping to give chronically ill teens a fun night away from doctor appointments and hospitalizations. 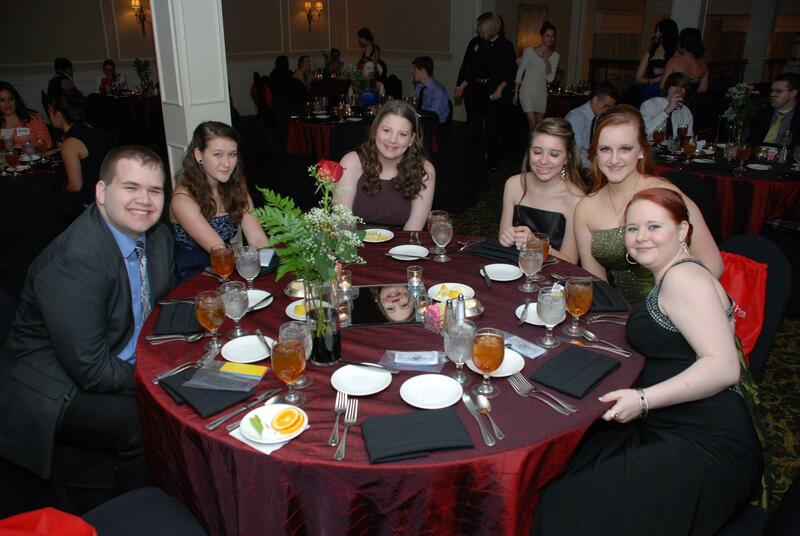 But for us teens, it was more than a night. It is a cherished forever memory. Dysautonomia teen Josh was the grand prize winner for the evening (Flat screen tv and Wii gift package) Congratulations Josh! 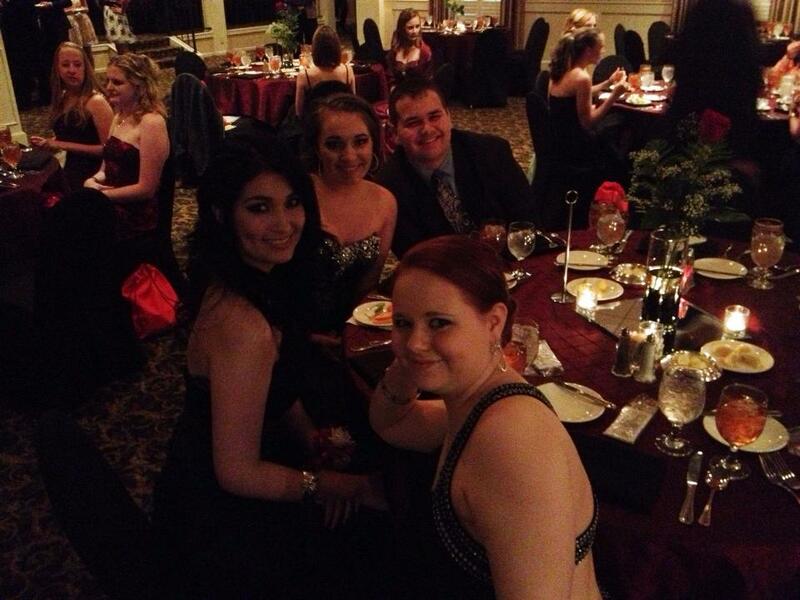 Below are more fun pictures from the night…. Also, as a reminder to those who are still learning about hidden illnesses. Excluding our volunteers, most of those pictured do not “look” sick, however, they suffer daily from debilitating chronic illness. Not every illness is visible…. 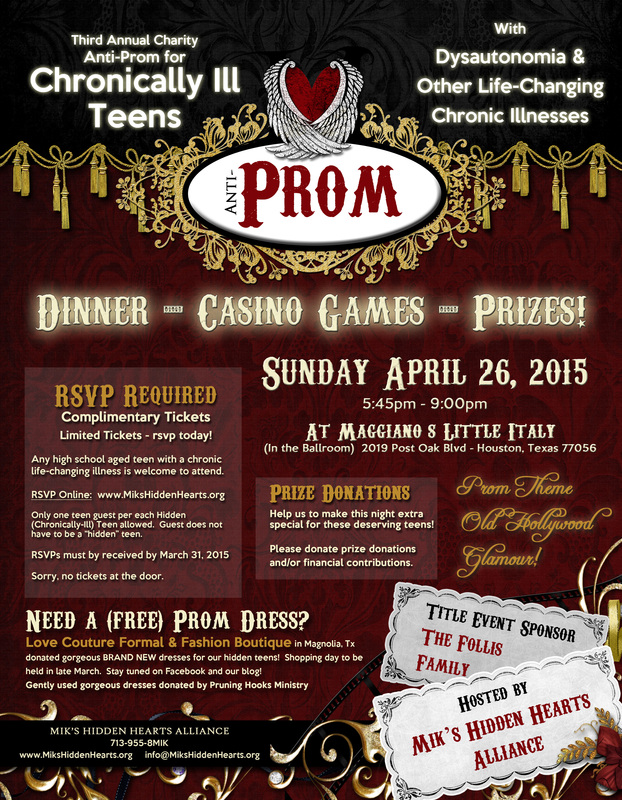 What is an “Anti-Prom” for chronically ill teens? Why is it called “anti-prom”? 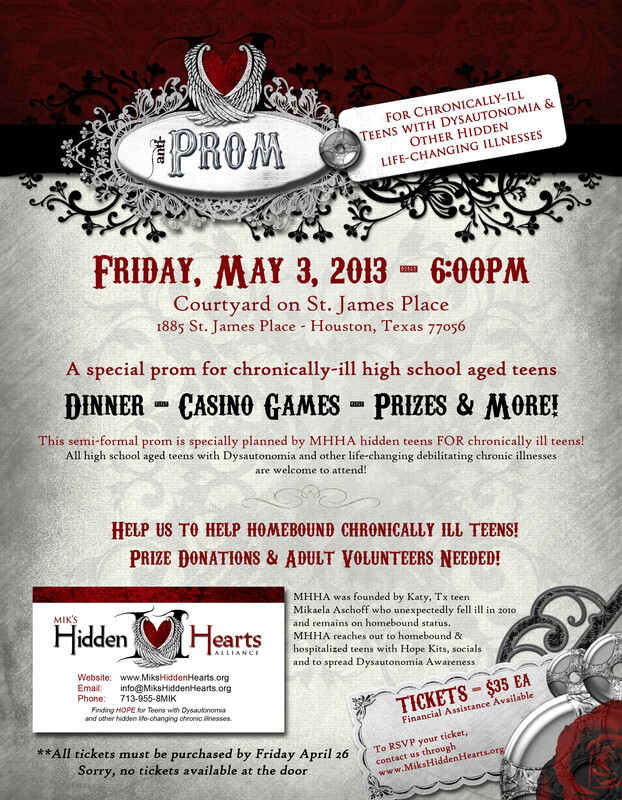 Our first annual Mik’s Hidden Hearts Alliance prom is called the “anti-prom” because many teens with debilitating chronic illness do not fit in at a regular prom and live a life that is opposite of a “regular” teen life. 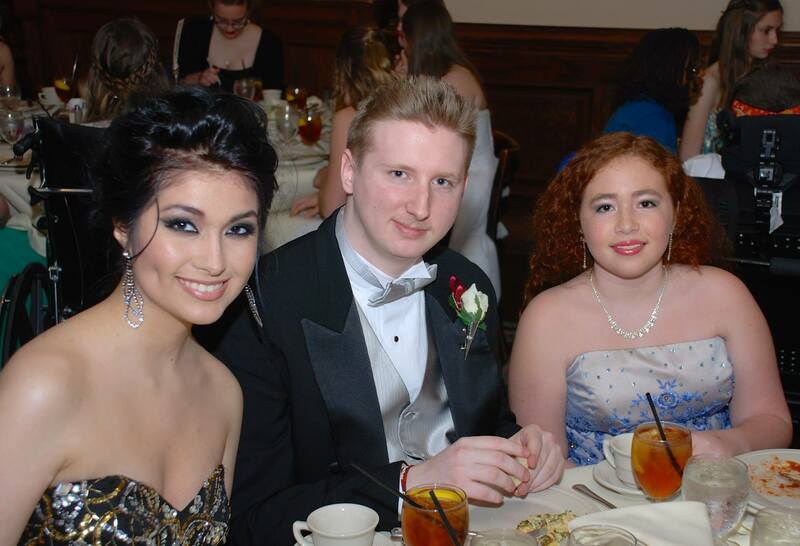 Regular prom includes dancing, standing/socializing and long hours. Many chronically ill teens are unable to even stand for a few minutes and can feel excluded because they miss so much school and have difficulty feeling included with friends. 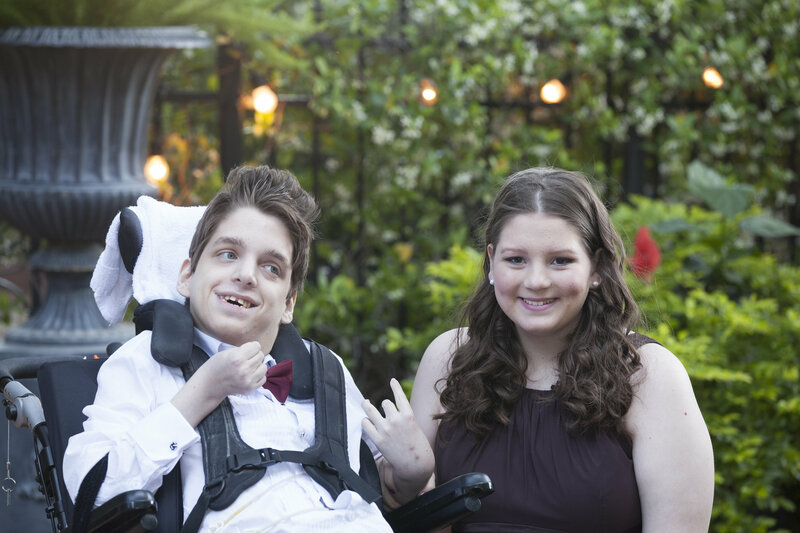 Needless to say, because they are just one of a few chronically ill at a regular prom, attending something as fun as prom can make them feel even more hidden. 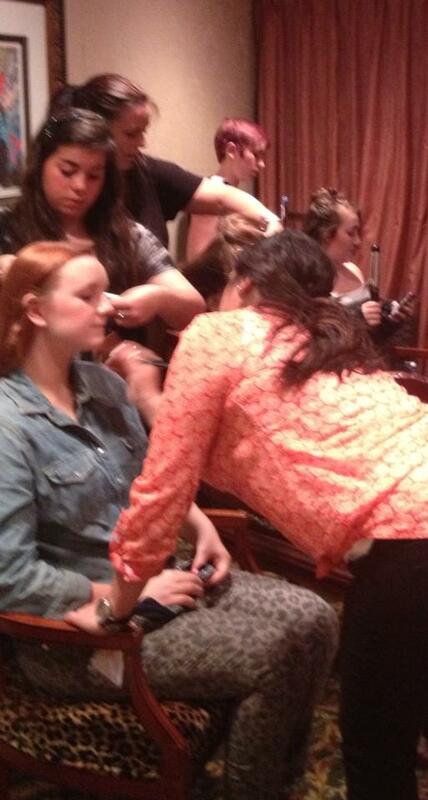 Yes, they will get to dress up and get to socialize with other teens who understand their “opposite” world. However, it is planned all within their endurance and abilities. 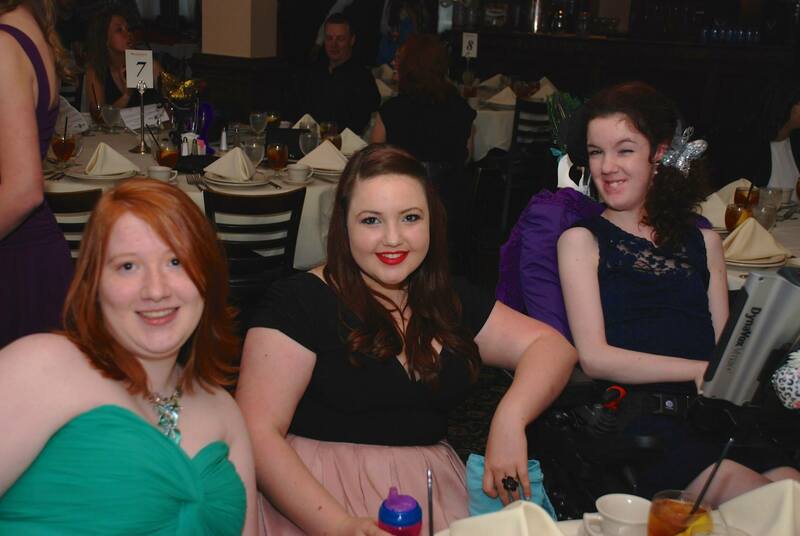 At the anti-prom, they will not be one of a few that is chronically ill. They will be surrounded by teens just like them! 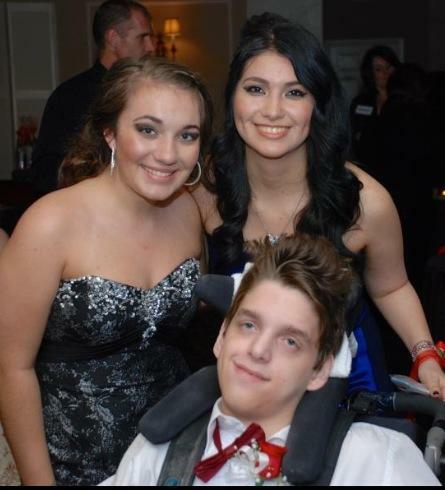 The courageous teens on our anti-prom committee really want to work on spreading hope to their fellow chronically ill teens by helping them embrace this opposite world and learning to work within it…. 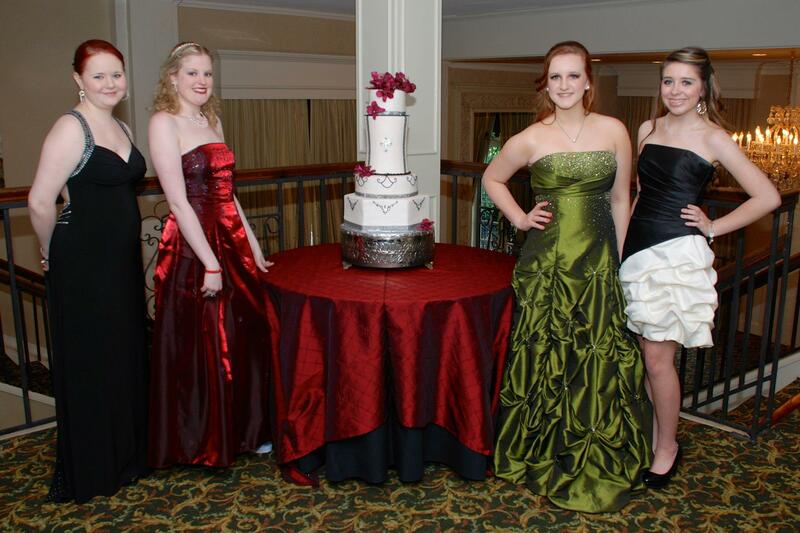 All the while not missing out on key teen experiences like a prom.